Chain: (1) 120" in Aged Bronze Textured Finish; Wire: 144"
Bold and beautiful, the Riata collection gets its inspiration from the rugged and wide-open Texas ranches of yesteryear. Cast in an Aged Bronze finish, the metal arms feature twists, bold angles and curves reminiscent of the handcrafted work of a blacksmith. 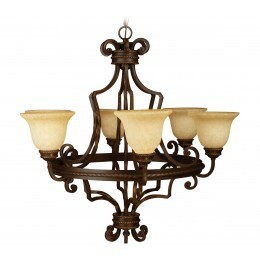 The antique scavo glass casts a glow to warm any room. 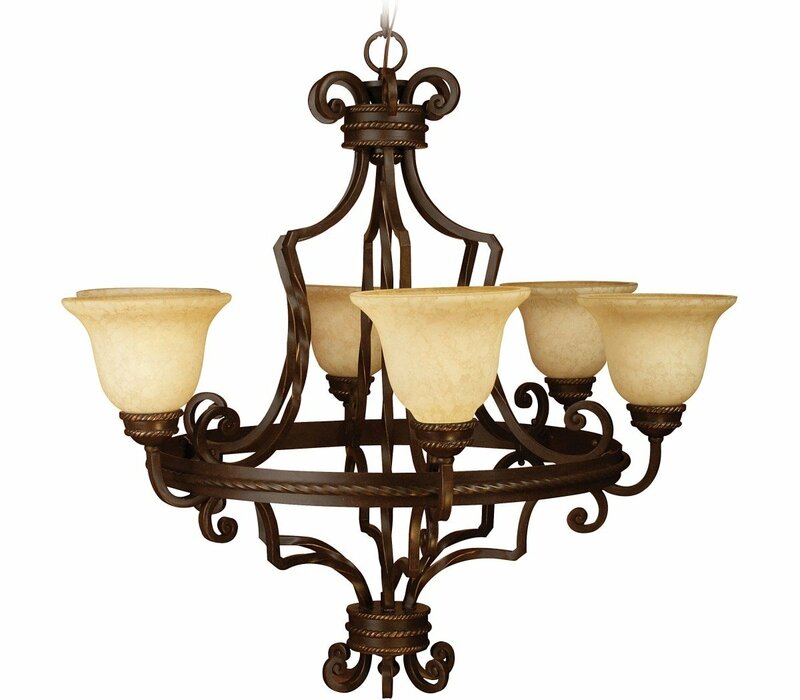 The Riata collection is available in chandeliers, foyer lights, pendants, pot racks, and Flush Mount.